Bokashi Composting Australia is a wholly-owned Australian company established in 2004 by bokashi expert, Maree O'Malley. Both the Bokashi One mix and EnsoPet starter are manufactured locally in Marrickville, Sydney by Maree and her staff. Today we proudly sell our eco-friendly Bokashi One kitchen composting system, and our EnsoPet pet waste composting system across Australia to retailers, corporate customers, councils, schools and at-home users. 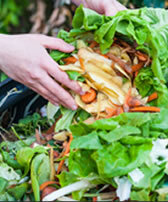 As our name suggests our passion is bokashi composting and it is the sole focus of our business. As a result, we are true bokashi experts and we enjoy sharing our knowledge and experience with all our customers to encourage environmentally friendly solutions for waste. 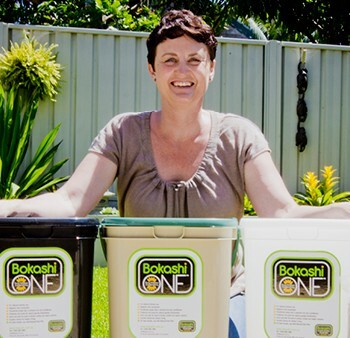 Maree O’Malley founded Bokashi Composting Australia in 2004 after experiencing bokashi composting in New Zealand. Impressed by the principles, convenience and philosophy of the system, Maree was keen to try it for herself back home in Australia. However, Maree was disappointed in her search to find the bokashi system so decided to set up her own business and bring this wonderful way of composting across the Tasman Sea to Australia. When Maree first set up Bokashi Composting Australia, she worked from her home in inner-western Sydney and juggled the business part-time with her career in financial services. Maree travelled to New Zealand to learn about bokashi composting and also visited Townsville in Queensland, where the microbes were being used in farming and agriculture, to experience how the micro-organisms (a vital component of the system) work to produce stronger, healthier crops. Maree threw herself into bokashi composting and made her bokashi mix in a sandpit in her backyard, drying it under the sun on a tarp – a tricky task on a windy day! It soon became clear that there was a real demand for bokashi in Australia and Maree was able to turn her business and her new passion into her full-time occupation. The sandpit has since been retired but Maree remains 100% involved in Bokashi Composting Australia and is a respected bokashi expert supplying all over Australia. Maree developed the new and original idea of EnsoPet after selling the Bokashi composting system in Australia for more than 10 years. Through this experience she became increasingly aware of the need for an alternative environmentally friendly way to manage pet waste.